Just in time for Liverpool Pride, The Ruby Slippers arrives at the Royal Court Studio in a tornado of glitter and sequins to provide an evening of storming entertainment. We are swept away to the “Ruby Slippers” drag bar in Blackpool as kind-hearted owner Raz (James Rogerson) attempts to cling on to his ailing establishment whilst harbouring an unrequited love for bartender Ryan (Kurtis Stacey) who is secretly preparing to transition into a woman. 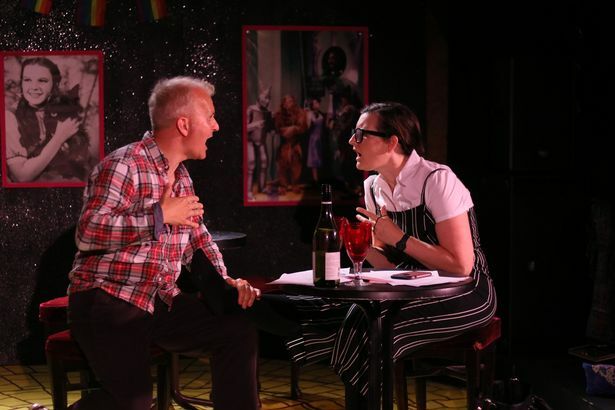 In a comedy-drama that proudly wears its heart on its sleeve, writers Emma Culshaw and David Paul offer a script that isn’t afraid to ask some surprisingly deep questions about the shifting nature of love and gender. Director Craig Ryder clearly has a firm grasp on the material and is aided by Gemma Hollywood’s sparkling set and a winning cast who throw themselves into their recognisable characters with such charm and vigour that it becomes impossible not to root for them. Debra Radcliffe brings a believable maternal strife to the hippy-dippy Helen, whilst a very game Emma Vaudrey manages to make an impact as the good-natured Laura whose dirty dance moves manage to put Jennifer Grey to shame. 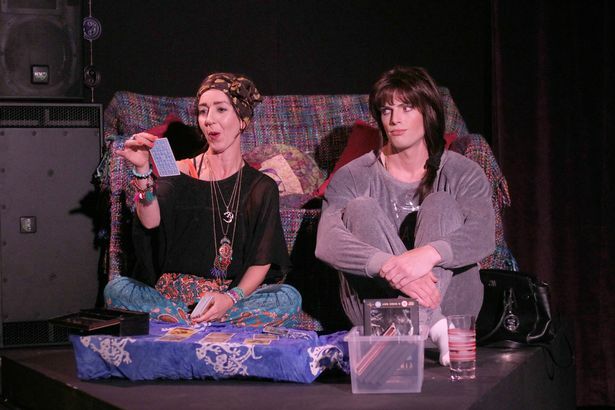 Owen Farrow and Jordan Simms bring big laughs as ditzy drag double act Phoenix and Destiny whose performances often threaten to bring the house down. Think Priscilla, Queen of the North West. Although admittedly entertaining, it’s these impromptu drag performances that often threaten to derail the show’s dramatic focus, dragging us away from drama for too long, too often. Thankfully the strength of its leads are such that, more often than not, they are able to get proceedings back on track. Rogerson’s Raz is the glue that holds everything together with a performance that which shows just the right amount of vulnerability, whilst Stacey wisely underplays a difficult role as the conflicted Ryan. It’s whenever these two share the stage that the production finds both its footing and its heart, making a bold attempt to navigate the complexities of what happens when sexuality, identity and desire all intersect, without sacrificing its character’s humanity. Is it totally successful in this difficult endeavour? Not quite. But it more than makes up for it with great glamour and humour. There is a strong, timely, moral message at the heart of The Ruby Slippers about acceptance and belonging that deserves our applause. Judy Garland would be proud.